A Shepherd's Heart: Seeking Wisdom and Discernment. As the old saying goes: "If it looks too good to be true...it probably is!" In a day and age where fake news, rumors, false advertising and more seem to be rampant, we need wisdom and discernment from God all the more. This applies to every area of our lives! On the surface, sometimes things and people can look good, honest, inviting, worthwhile or worthy of our time and attention. 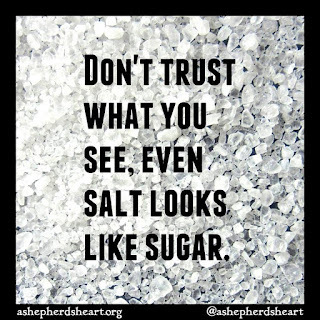 However, after you and I move past the surface we often find the that "not everything that glitters is gold" as they say or you grab the real or proverbial sugar container only to find that it was filled with salt instead. 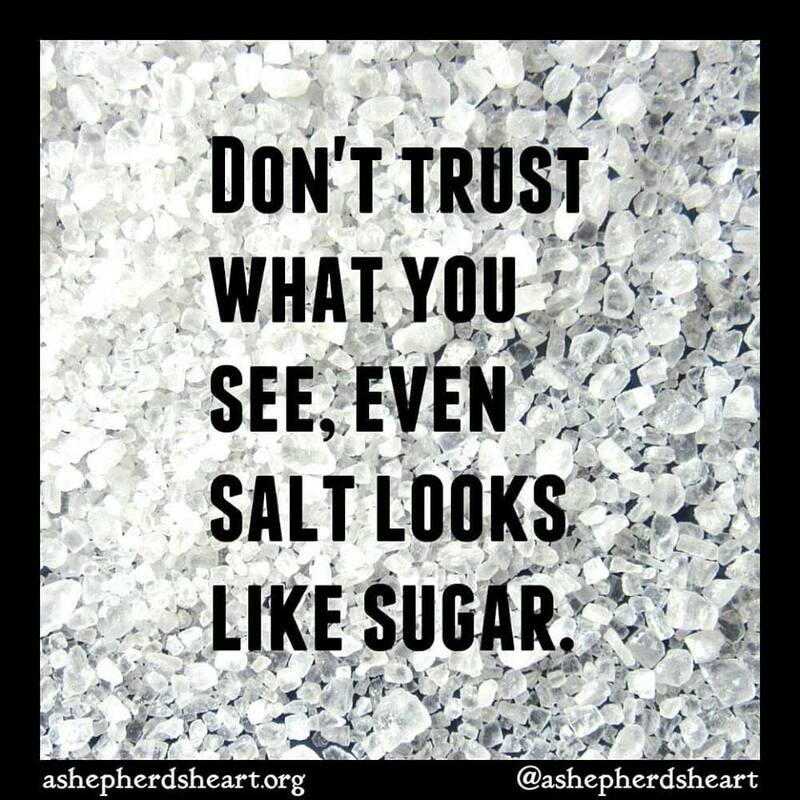 Wisdom and discernment are vital as things are not always as they seem and we need God's wisdom to separate the "salt" from "sugar"... They may look the same at first glance but they definitely are NOT the same! We need to remember that God gives us the tools we need in order to have the wisdom and discernment to know facts from fiction and truth from lies. We cannot go through life living only by what we see in front us rather, we need God's Word, wise counsel and the help of the Holy Spirit to clear our vision and thinking. We need to seek wisdom and discernment in all things as we cannot let our guards down lest we are duped by those who seek to take advantage of other or in some cases seek to literally destroy others. So, Need wisdom?...ask Him as He'll freely give it to you! Want to grow in the knowledge of wisdom and discernment?...Seek God's Word for the knowledge and moment by moment simply pray asking for His Help. We're also to live by faith not by sight and He's called us to be wise not foolish and with His help through the tools He's give us, we will grow in wisdom and discernment! Let's pause for a moment each day or any given moment and pray asking God for wisdom to see truth from lies, facts from fiction. For the wisdom to know who are the honest, selfless, loving, quality and character filled people, who seek to build us up that are good for us vs. the dishonest, selfish, arrogant, reckless, negative, destructive, etc people who are bad for us only seek to tear us down. Let's help one another do the same.